Whether you are a long-time scuba diver or you're excited to try snorkeling for the very first time, there are few better places to be than Belize. In particular, the island of Ambergris Caye offers close access to one of the largest coral reefs in the world as well as plentiful underwater life and waters warm enough to swim without a wetsuit throughout the year. If you plan on making snorkeling or scuba diving the focus of your next visit to Belize, use these helpful tips to ensure that the vacation is a memorable success. One of the most important things to do when planning a beach-based adventure in Belize is to look for accommodation close to great snorkeling and diving spots. This allows you to wake up and head to the water first thing in the morning without traveling far. If you are more interested in deep-sea diving, choosing accommodation near to a marina or pier can also be ideal. Thankfully, the Grand Baymen on Ambergris Caye ticks all these boxes and allows you to make snorkeling and scuba diving a big part of your vacation. 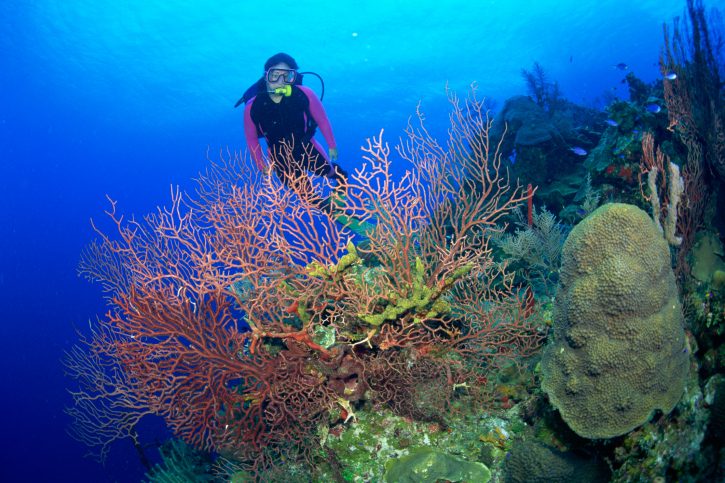 In order to scuba dive or snorkel in Belize, you will need some equipment. To snorkel, the bare minimum will be a mask and a snorkel, but the addition of flippers can make swimming for long periods of time a lot easier. To scuba dive, you'll need things like a filled tank, a regulator, hoses, a mask and much more. If you have all these items already, you can absolutely bring them with you. Otherwise, you can buy or rent pieces for your time in Belize. Some guided snorkeling and scuba diving tours will provide you with everything needed, although you may need to confirm this before booking the trip. While snorkeling requires a lot less instruction and can be done by just about anyone who knows how to swim, scuba diving requires proper instruction before you can begin. If you are already PADI-Certified, then you may not need instruction in Belize. If you need a refresher, or if you're a beginner, then a day-long course can be the perfect way to prepare. These courses will teach you the ropes, help you feel comfortable breathing through a regulator and take you out to some of the best diving spots around Ambergris Caye as well as the surrounding coral reefs closer to mainland Belize. One of the best things about snorkeling or scuba diving in Belize is the sheer variety of places to spot amazing things underwater. A top pick is Shark Ray Alley, where you can swim alongside nurse sharks and sting rays. Other great spots include the Barrier Reef of Belize and the Hol Chan Marine Reserve. With these tips, you'll be set to explore Belize and all it has to offer on your next snorkeling or diving vacation to the area. Find out more about great places to stay and things to do in Belize.